This is classic Icelandic. We have very good lamb meat. 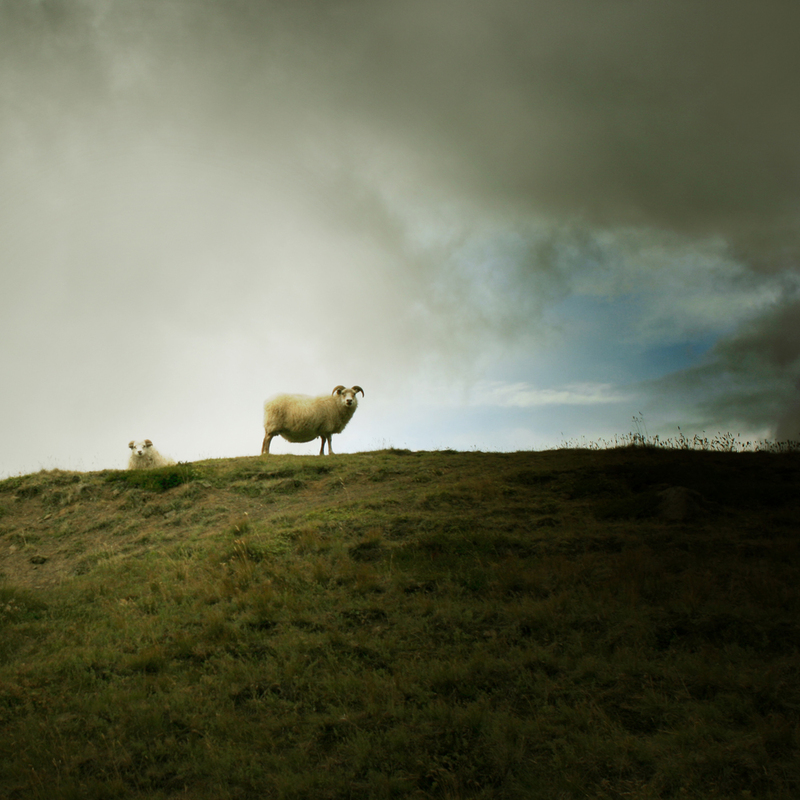 It´s lamb that wanders around the mountains during summer eating what ever they find there and many end up by the shore eating seaweeds. Very good. For a lamb pâté you only new few things, meat of lamb, onion and salt. This type of lamb pâté is ment to be served cold and put on bread. 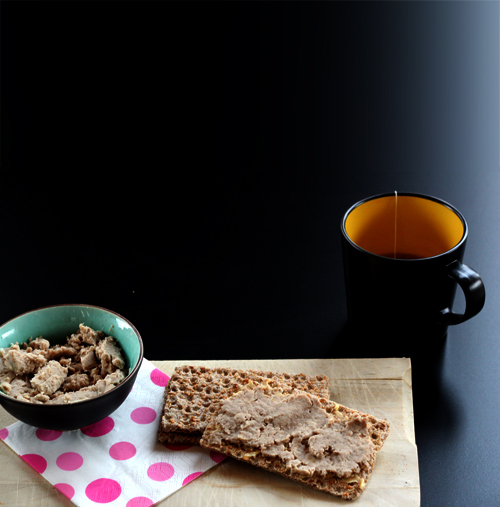 It is amazing on Icelandic flatbread called Flatkaka, on a Rye bread or crisps. Keep few tablespoons of the broth you get after simmering the meat. You can experiment with seasoning, spices and garlic for example. I like it simple but I use a bit of black pepper for seasoning after I grind it. It is essential to cut of a lot of the fat off the meat. 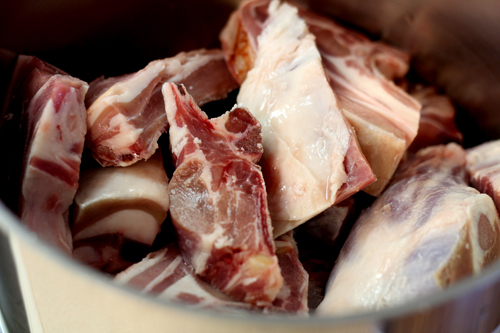 Put the lamb meat in a pot with salted water that covers the meat. Bring to boil and the simmer for couple of hours. For the last hour or so add the onion, no skin and roughly chopped. After couple of hours of simmering, cool the meat, put it in a grinder or a mixer. 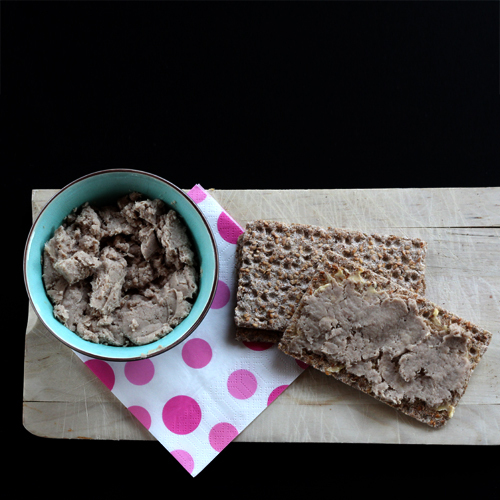 It depends on how fine you want your pâté how well you mix it. I like it not too fine. So either I grind it or mix it shortly with a food processor. 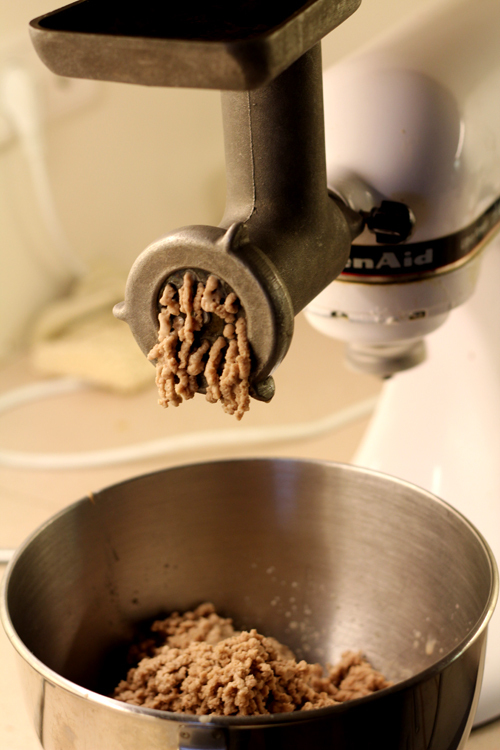 Use few tablespoons of the broth when you mix or grind the meat. Don´t throw away what is left of the broth, it´s perfect to use it in soups. You can freeze for later. Few slices of cucumber would be perfect on that piece of crisp.